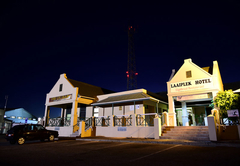 Laaiplek Hotel is a 2 star graded hotel offering Velddrif accommodation in 10 guest rooms. 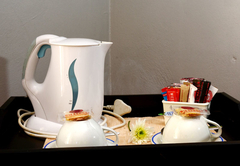 The hotel has three single and four double en-suite accommodation with private patios. 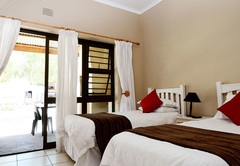 Three of the double rooms have a splendid view of the Berg River. 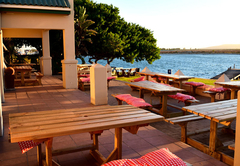 Braai facilities are available on the patio or under the trees on the banks of the river. 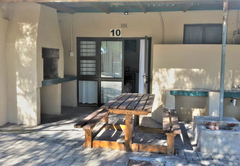 There are 3 self-catering rooms with separate entrances. You park your car in front of your room. 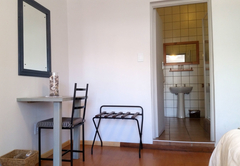 Each room consists of twin beds with en suite bathroom. 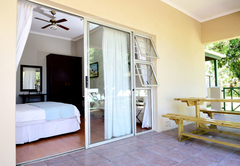 These rooms have a private patio with braai and scullery. 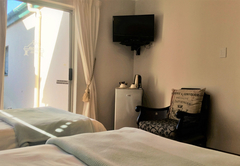 All the rooms have selected DStv and SABC channels. 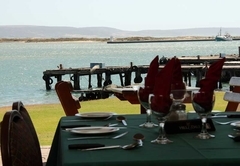 The Eigebraai, an a la carte restaurant specializes in seafood. Mussels, perlemoen, snoek and crayfish can be enjoyed to your heart’s delight. 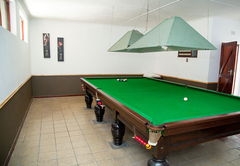 There is a snooker room with bar facilities in the hotel. Sport fans can enjoy events on the television in two venues. 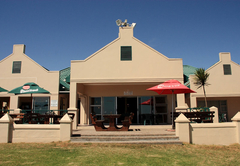 The ladies bar with patio provides a view of the harbour, fishing trawlers and bird-life. 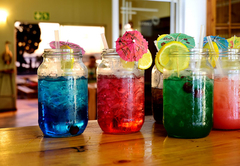 You can enjoy spectacular sunsets while relaxing on the patio with your sundowner. The conference venue is suited for a smaller group. It can seat about 30 delegates in boardroom or U shape style and 40 - 45 delegates in cinema style. There are two venues available. 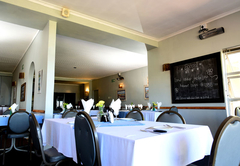 The one venue is perfect for smaller functions between 20 – 25 persons.The second venue, the restaurant, can seat approximate 60 persons and is very popular for weddings receptions. 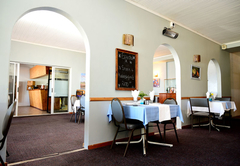 You can choose from a range of delicious dishes and specialties to suit your needs. 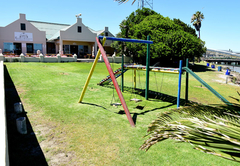 • The South African Fisheries Museum is on the premises, next to the hotel. 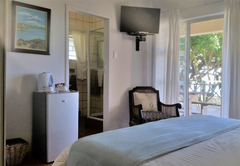 Queen-size bed, towels, toiletries, tea/coffee facilities, kettle and mugs, daily housekeeping, selected DSTV channels, Ceiling Fan and wall heater. 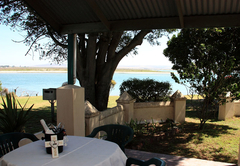 The room has a splendid view of the Berg River with a private patio to relax and enjoy the abundant bird life.